Dr Hugo Hiden leads the development of the e-Science Central platform which is the core Inkspot product offering. 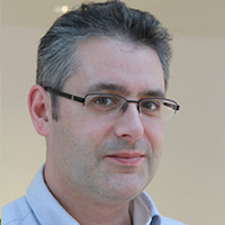 Originally a Chemical Engineer, he moved into software development during his PhD years at Newcastle University and has a been active in machine learning and scientific software development since the mid ‘90s. He has worked in both large corporate and high technology start-up environments and specialises in creating complex data processing applications, deploying scalable computing architectures and investigating novel applications of Cloud Computing. Alongside his leadership role in Inkspot, Hugo is also the Research Director of the Digital Institute at Newcastle University.